Frontiers in Psychology is the largest journal in its field, publishing rigorously peer-reviewed research across the psychological sciences, from clinical research to cognitive science, from perception to consciousness, from imaging studies to human factors, and from animal cognition to social psychology. Field Chief Editor Axel Cleeremans at the Free University of Brussels is supported by an outstanding Editorial Board of international researchers. This multidisciplinary open-access journal is at the forefront of disseminating and communicating scientific knowledge and impactful discoveries to researchers, academics, clinicians and the public worldwide. 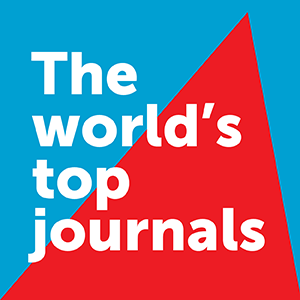 The journal publishes the best research across the entire field of psychology. Today, psychological science is becoming increasingly important at all levels of society, from the treatment of clinical disorders to our basic understanding of how the mind works. It is highly interdisciplinary, borrowing questions from philosophy, methods from neuroscience and insights from clinical practice - all in the goal of furthering our grasp of human nature and society, as well as our ability to develop new intervention methods. Frontiers in Psychology is a member of the Committee on Publication Ethics. The specialty sections of Frontiers in Psychology welcome submission of the following article types: Book Review, Brief Research Report, Clinical Trial, Correction, Data Report, Editorial, General Commentary, Hypothesis and Theory, Methods, Mini Review, Opinion, Original Research, Perspective, Registered Report, Review, Specialty Grand Challenge, Systematic Review, Technology and Code, Case Report, Conceptual Analysis, Policy and Practice Reviews and Policy Brief. When submitting a manuscript to Frontiers in Psychology, authors must submit the material directly to one of the specialty sections. Manuscripts are peer-reviewed by the Associate and Review Editors of the respective specialty section. Articles published in the specialty sections above will benefit from the Frontiers impact and tiering system after online publication. Authors of published original research with the highest impact, as judged democratically by the readers, will be invited by the Chief Editor to write a Frontiers Focused Review - a tier-climbing article. This is referred to as "democratic tiering". The author selection is based on article impact analytics of original research published in the Frontiers specialty journals and sections. Focused Reviews are centered on the original discovery, place it into a broader context, and aim to address the wider community across all of Psychology.